If you happen to be visiting Glasgow for your event at Old Fruitmarket, and you're staying over, our hints about where is best to stay might prove useful too. Princes Square is a 5 minute stroll away from Old Fruitmarket. Famous for its designer boutiques, its also famous for another very good reason. Like a jewel in its crown, Princes Square is home to Barca /Browse/Restaurant/Barca_Tapas_and_Cava_Bar(reveal best table deals?) . Locals in the know with a love of Spanish tapas make their way here, with relish... And with plenty garlic! Enjoy excellent tapas in their striking dining room, or in the spacious atrium. Don't forget a glass of cava, to get your evening off to a fun start. Merchant Square is a proud neighbour of Old Fruitmarket. It holds a perfect surprise, too. Enter from the Candleriggs door, and on the left is the tasteful, understated Arisaig /Browse/Restaurant/Arisaig_Restaurant(reveal best table deals?) . Bringing more than a hint of character and good taste to their menus, fun meals are a certainty. The love of Scottish cuisine they demonstrate shines through. 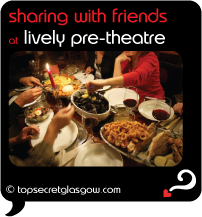 Enjoy a magical Old Fruitmarket pre-theatre meal here. Gandolfi Fish /Browse/Restaurant/Gandolfi_Fish(reveal best table deals?) sits quietly to the rear of Old Fruitmarket. Massive windows let diners keep an eye on City Halls' stage door, too. Mind you, with a menu as exciting as this, you'll spend your time trying to decide what to try. Staff are friendly and attentive, making sure you're well looked after during your mouth watering meal. Across Candleriggs from Old Fruitmarket entrance is the lovely City Merchant /Browse/Restaurant/City_Merchant(reveal best table deals?) . One of the leading lights here, since the time Merchant City was restored, this restaurant catches fans in its nets every day! A focus on Scottish fish shines through, as does the expert way they serve other Scottish game (plus a few veggie dishes to keep us all happy). A classic for very good reason, this is a perfect place to start your Old Fruitmarket pre-theatre inspiring evening. The beautiful people and the funky spirits all know that Brutti Ma Buoni (tel: +44 (0) 141 552 0001) in Brunswick Hotel is the place to go for a fun evening. Laid back staff, a well stocked bar and hip music combine with a pavement terrace in one of the coolest Merchant City streets. The result is an uber-cool bar that leaves the others in its wake. Enjoy a top night out here, for sure. Maybe you feel like keeping the thrill of the stage going a while longer? In that case, take the short stroll along Candleriggs to Tron Bar in Tron Theatre. There is always a relaxed vibe here, added to a buzz of excitement on performance nights. A long standing local fave, this is a refreshing bar to visit on a night out. Old Fruitmarket oozes Merchant City charm. This lovely area is home to a couple of bars that are the old gents of this amazing area of Glasgow. Where better to stop off for a wee drink? If you're lucky enough to be staying over in Glasgow, there are all sorts of hotels near City Halls. Choosing the right one is very important, of course. Just past the Heilan'Man's Umbrella (10 minutes on foot) is the glorious Radisson Hotel /Browse/Restaurant/Collage(reveal best table deals?) 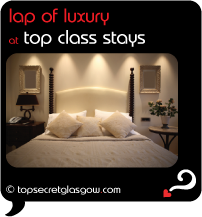 http://www.laterooms.com/en/p8275/hotel-reservations/84449_radisson-sas-glasgow-glasgow.aspx(reveal best room deals?) . All designer minimal chic and cool charm, this award winning hotel looks after guests in great style. On Ingram Street, just round the corner from City Halls, Ramada Jarvis Hotel http://www.laterooms.com/en/p8275/hotel-reservations/13240_ramada-hotel-glasgow.aspx(reveal best room deals?) makes the perfect spot for some Merchant City snoozing. 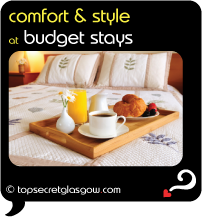 Close to just about everything, this hotel makes staying in the city centre a real pleasure. Friendly Glasgow always like to make sure every visitor has a fab time, whatever their budget. So, a couple of the best Merchant City places to snooze in comfort are not far from Old Fruitmarket. Merchant Lodge http://www.laterooms.com/en/p8275/hotel-reservations/149905_the-merchant-lodge-glasgow.aspx(reveal best room deals?) has one of the most funky restored buildings as home. Warm, welcoming and full of an easy charm, you'll have a fine time in this hidden gem. 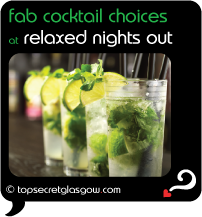 Had a fab evening in Old Fruitmarket? 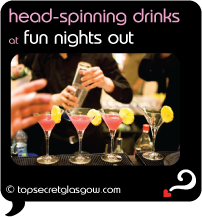 Did you enjoy a perfect, fun pre-theatre meal and drinks in a funky bar? Perfect! What an ace way to remember your Old Fruitmarket evening. Great to share with friends too. Great news! 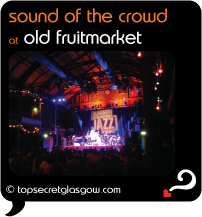 Finding this page means you can now join our VIP list for Old Fruitmarket. Grab your very own web page all about Old Fruitmarket. Do you have a special story about Old Fruitmarket? A funny experience? A grand occasion? A funky photo? A personal tip? A top secret? Psst!... want to know my VERY top place near Rogano? It's Vroni's and we love it because it is class in a glass. And charming to boot! Enjoy the rich natural colours, the dramatic bar... and the champagne and cocktail lists that pack quite an elegant punch. Bottoms up! Don't tell everyone!